How many of you, when Chris Greatwich tapped in from five yards in the 104th minute of a breathtaking AFC Challenge Cup semi-final against the host team Maldives at the National Stadium in Male, instinctively knew that it was game, set and match Philippines? As a goal this was artless, just a case of Greatwich being at the right place at the right time; and certainly in stark contrast to the diving, contorting header with which he put Vietnam to the sword in that memorable AFF Suzuki Cup match in 2010. Greatwich goals are few and far between; but when they come, they rather tend to make history and augur big things for Philippine football. This latest one was a mere tap in, but it propelled the Philippines to a final against Palestine and potentially a seat in the 2015 Asian Cup. Not that the final 3-2 result in any way stands as a fair reflection of how the Philippines played. The team had not been totally convincing in the group matches, but clicked into gear with some delightful football that made a farce of the supposed pressure of a knockout semi-final. It did not matter in the end, however, because the extra time made an already fascinating match even more so, even for the neutrals. The match might not have been of the highest technical or tactical quality, but it was a wonderful advertisement for the game of football. For most of regulation time, the football of the Maldives was reduced to the level of street litter. Quick touch passing and intelligent off-the-ball running had the Maldives looking like schoolboys chasing shadows. When possession was lost, the Filipinos hunted in packs to quickly regain the ball, a characteristic of a top team. Then there were the goals. 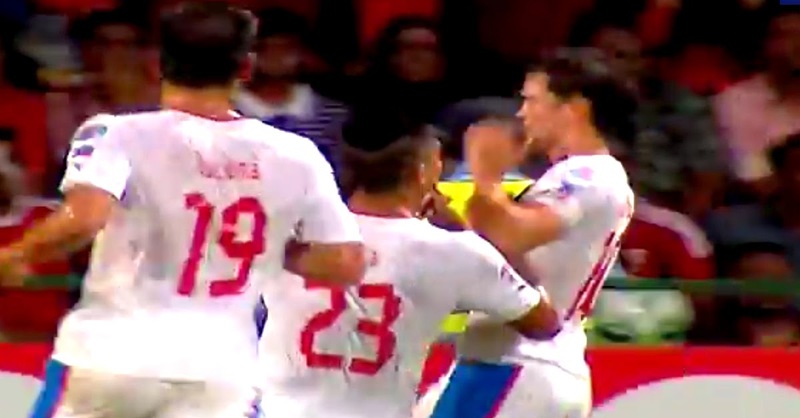 Phil Younghusband, finally restored to the familiar role at the tip of the attack, opened scoring for the Philippines in the 19th minute with typical opportunism. 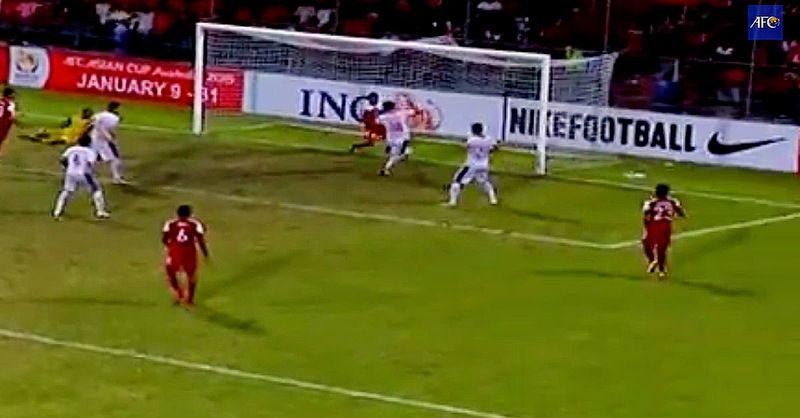 Younghusband brought down a headed clearance from a freekick, held off the close attention of Maldives defenders and shot on the turn. The Maldives, however, were like a bad suitor that just would not go away; and this bad suitor had more than their fair share of luck. As the Philippines hunted for the cushion of a second goal, the Maldives broke in the 36th minute and scored through Umair’s hopeful lob. The timing of the run, in all fairness, was impeccable; although had Simone Rota stepped up, Umair would have been called for offside. The lob will not make any of the technical videos as it was made with the shin; and could easily have landed on the roof of the net. The Philippines were back ahead just two minutes later. Daisuke Sato made a determined run with the ball down the left flank and fired a low cross towards goal. Jerry Lucena, the last person supporters of the team would have expected to pop up at the near post, tucked the ball in from point blank range. Maldives, the bad suitor, still would not go away and really had no recourse but to push forward to try and salvage the match. Qatari referee Abdullah Baloushi gave the Maldives a ray of sunlight by awarding a soft penalty in the 53rd minute for a foul by Amani Aguinaldo that he could have easily ignored. Müller, who had already saved a penalty in the Philippines’ last group match against Turkmenistan, did a passable impersonation of Bruce Grobbelaar in trying to distract the penalty taker as he lined up to take the kick. An intelligent positional feint tricked Fasir into shooting left, and Müller dove to save comfortably. Maldives finally drew level with Abdullah Asadulla’s lucky flick from off a corner in the 66th minute. Aguinaldo had conceded a foul in a dangerous position in the previous play, but the wall did its job. It was from the ensuing corner that the Maldives finally benefited. In hindsight, it was the Philippines inability to create the cushion of a two-goal lead that ultimately made the contest tighter than it really seemed. Younghusband failed to put away a free header in the 51st minute when a goal would have given the scoreline a more realistic feel of how the game had ebbed and flowed. Patrick Reichelt, who scored an extraordinary goal against Turkmenistan, also had numerous chances to give the Philippines a more emphatic victory; but could only watch as all the luck went the Maldives way. Again in hindsight, we now all know that the stage was merely being set for Greatwich to deliver another cathartic denouement, one which – like in Hanoi back in 2010 – has all of us again overflowing with anticipation about what is written in the future for Philippine football.